Japan-based Panasonic, along with Kyoto University, has developed a new remote sensing technology to measure vital signs such as heart rate, heartbeat interval and others. 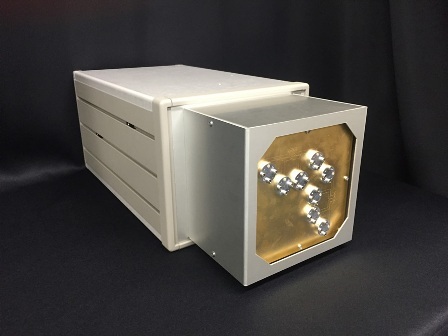 The new remote sensing system aggregates millimeter-wave spread-spectrum radar technology and signal analysis algorithm, which identifies signals from the body. The high sensitive spread-spectrum radar and feature-based heartbeat interval estimation algorithm helps to measure heart rate and its intervals in real time without placing sensors on the body. Panasonic researcher Hiroyuki Sakai said: "Taking measurements with sensors on the body can be stressful and troublesome, because you have to stop what you’re doing." The new sensing technology enables casual sensing of vital information such as pulse rate and heartbeat interval remotely, helping in daily health management. According to the company, the remote sensing technology enables people to monitor their health status for their own benefit. Kyoto University communications and computer engineering professor Toru Sato said: "Our algorithm differentiates all of that. It focuses on the features of waves including heart beats from the radar signal and calculates their intervals." Last November, Panasonic introduced new 4K medical-grade 32 ultra-high definition (UHD) monitor, designed for the surgical suite. The new 4K UHD surgical monitor offers full 4K (3840 x 2160 pixels) resolution, providing double the total pixels of a 2K monitor and is fully compliant with medical equipment standards. Image: The new remote sensing system features high sensitive millimeter-wave spread-spectrum radar and signal analysis algorithm. Photo: courtesy of Panasonic Corporation.